The priest is facing up to two years in prison after two former altar boys from Haverhill have testified to put their abuser behind bars. A defrocked Roman Catholic priest who pleaded guilty to sexually abusing an altar boy in Massachusetts was convicted Thursday of abusing another boy in Maine in the 1980s. 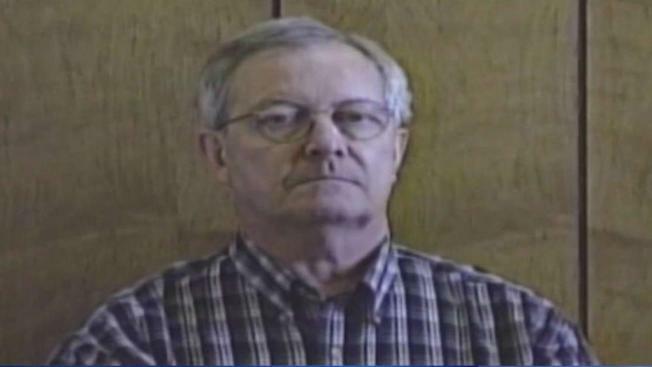 Ronald Paquin, 76, was convicted of 11 of 24 counts against him following a three-day trial in Superior Court in Maine. He was originally charged with 31 counts, but seven were dropped on Wednesday. Two men testified Paquin befriended them as boys at a parish in Haverhill, Massachusetts, and invited them on trips that included visits to Kennebunkport, Maine. They said he gave them alcohol, and let them drive his car without a license. One of them testified he was drugged. Both said Paquin repeatedly assaulted them, but the jury returned guilty verdicts on counts involving only one of the victims. The victim who said he was drugged told reporters after the verdicts that Paquin was "pure evil," adding jurors did the right thing. Assistant District Attorney Nicholas Heimbach told jurors in her closing argument this case "is about a priest who planned, plied and perpetrated." Defense attorney Roger Champagne said the graphic testimony from the two men was "fluff" aimed at distracting them from the lack of physical evidence or witness testimony placing the boys in Maine in the 1980s. Paquin was a key figure in the clergy abuse scandal that started in the Boston Archdiocese and rocked the church globally, which was featured in the movie "Spotlight" about the Boston Globe team that uncovered the abuse. He spent more than a decade in a Massachusetts prison for sexually assaulting an altar boy. He was released in 2015, and was taken into custody in Maine last year. During the trial, several people testified about seeing Paquin with boys at a campground in Kennebunkport. None saw anything inappropriate but one said she wondered why the boys stayed inside a trailer on a hot day instead of going to a pool or to the beach. She was told the boys liked to play Monopoly.